A fortnight later son's marriage, MNS President Raj Thackeray performs a mass marriage of 500 tribal couples in Boisar on Saturday. His son Amit Thackeray got married to fashion designer Mitali a few days back. 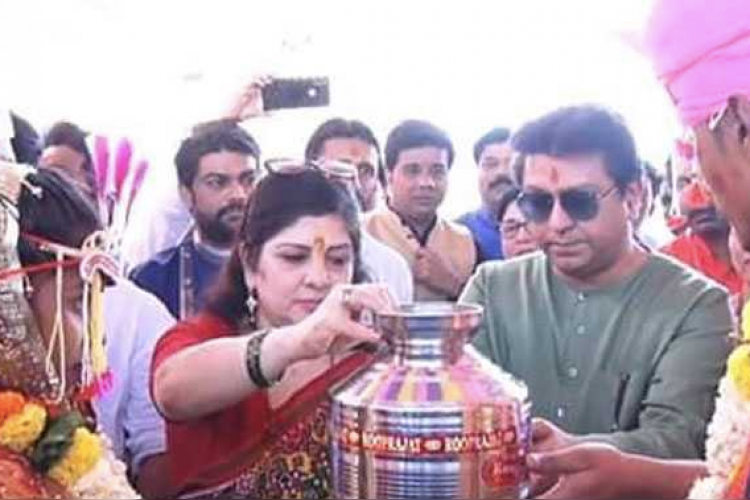 Raj Thackeray along with his wife Sharmila came in a chopper to the venue and he even performed 'kanyadaan' of a girl. Later, he gave them a marriage certificate to the newlywed couple. All the couples took their blessings.